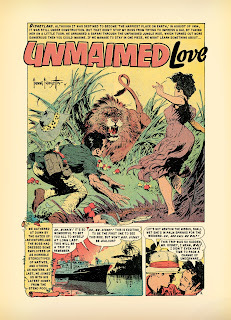 The original story appeared in Personal Love #32 in April 1955 as "Untamed Love." 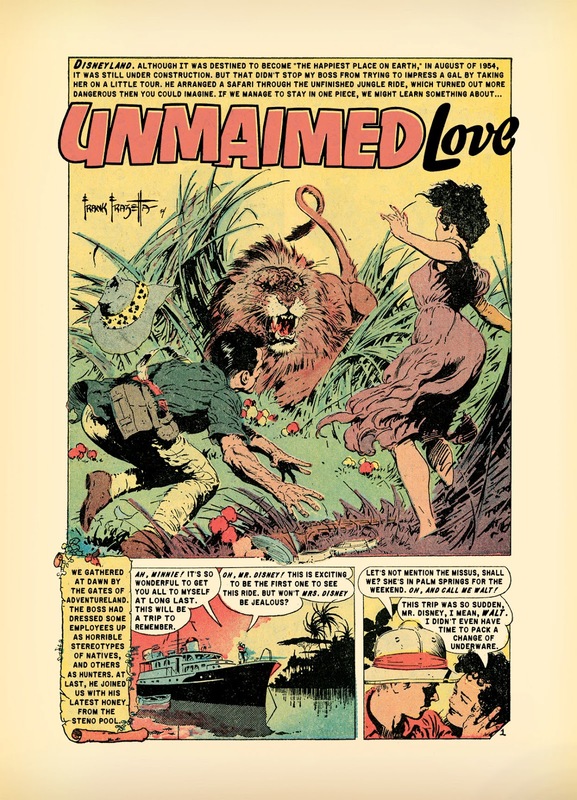 Often cited by comic historians as one of the finest drawn stories of the golden age, it is obvious that Frank Frazetta was not interested in telling a typical love story. The romance takes a back seat to adventure in the lush jungle setting. An interesting side note was Frazetta's choice of models for this story. He used his friend Al Williamson as the central character. 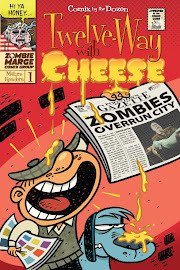 Williamson was close friend and, like Frank, was a young artist just breaking into the comics field at the time. Al would go on to produce amazing comics, including one of the best versions of Flash Gordon outside the original news paper strip. As I mentioned the other day, most of these romance comics from the fifties have fallen into the public domain and are fair game for a smartass like me to use them as I see fit. In my rewritten version of the story, the action takes place in Anaheim, California in 1954, just months before the grand opening of Disneyland. In fairness to Walt Disney, who was a difficult boss, by all accounts, there are no stories that paint him as a womanizer. Except this one. Stop by every day this week for a new page of Unmaimed Love!